American consumers are strongly influenced by both the price of gas and fuel efficiency when purchasing a vehicle, according to a new survey conducted by the Opinion Research Corporation on behalf of Johnson Controls. Of the 1006 people surveyed, fuel efficiency (57%) is at the forefront of the mind for consumers when they go to buy any size automobile, followed closely by cost (55%) and safety (54%). "Whether someone wants to drive a truck, SUV, or car – increased fuel efficiency remains the number one purchase criterion for American car buyers," said Joe Walicki, President of Johnson Controls Power Solutions. That preference is consistent with a similar survey conducted five years ago, despite falling gas prices, which are down more than 37% from the national average in 2011. The new survey also found consumers are sensitive to the price of fuel when considering a new vehicle, with 64% saying it directly impacts their purchase. This is up 14% from 2011. "What we're seeing in the market place due to low and stable gas prices is a migration to larger vehicles, but the expectation now is that those vehicles come with increased fuel efficiency," added Walicki. MaryAnn Wright, Group Vice President of Technology and Industry Relations, Johnson Controls Power Solutions said, "Automakers have made significant advances in fuel efficiency and have reduced emissions through implementation of several new technologies, such as turbo charging, engine downsizing and light weighting across their fleets." Wright continued, "The next big technology in the US is start-stop, which increases fuel efficiency 5%." By 2020, Johnson Controls predicts 50% of all new vehicles in the US will have start-stop technology. GM plans to make it standard across its fleet by 2020 and Ford announced it will integrate start-stop across all EcoBoost® equipped vehicles. "In the last year, there were more than twice the number of start-stop vehicles produced in the US versus the total of all types of hybrid, plug-in and electric vehicles combined, and we see that trend continuing," Walicki said. Start-stop technology enables a vehicle's engine to shut off during stops, such as red lights or traffic jams. 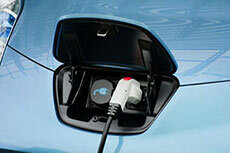 Accessories such as lights, air conditioning and other functions continue to operate off of stored battery power. When the driver lifts their foot off the brake, the engine seamlessly restarts and is ready to move the vehicle. "Johnson Controls start-stop battery technology is now integrated into 35 million vehicles globally, saving an estimated 660 million gal. of fuel and cutting greenhouse gas emissions by 5.9 million tpy," said Petar Oklobdzjia, Group VP & General Manager Original Equipment, Johnson Controls Power Solutions. "Over the next five years, we expect to see adoption numbers go up in all major regions and we have announced our commitment to invest more than US$780 million in battery capacity across the globe to support that growth." 82% would consider start-stop for fuel savings. 72% say environmental impact is a key benefit in driving interest in start-stop vehicles. 57% would consider start-stop for its low incremental cost. This report presents the findings of a survey conducted among a sample of 1006 adults comprising 504 men and 502 women, 18 years of age and older. The omnibus telephone study is conducted twice a week among a demographically representative US sample. This survey was live on 14 July - 17 July 2016. The margin of error for this study is +/- 3.1%. 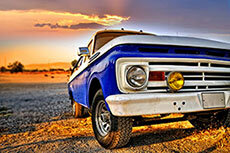 The US Energy Information Administration compares fuel economy and average vehicle costs across a variety vehicle types. According to the US Energy Information Administration (EIA), fuel economy standards will drive down projected gasoline and diesel use. Product exports will rise. 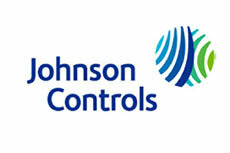 Johnson Controls has been recognised by the Ethisphere Institute as a 2014 World’s Most Ethical Company.